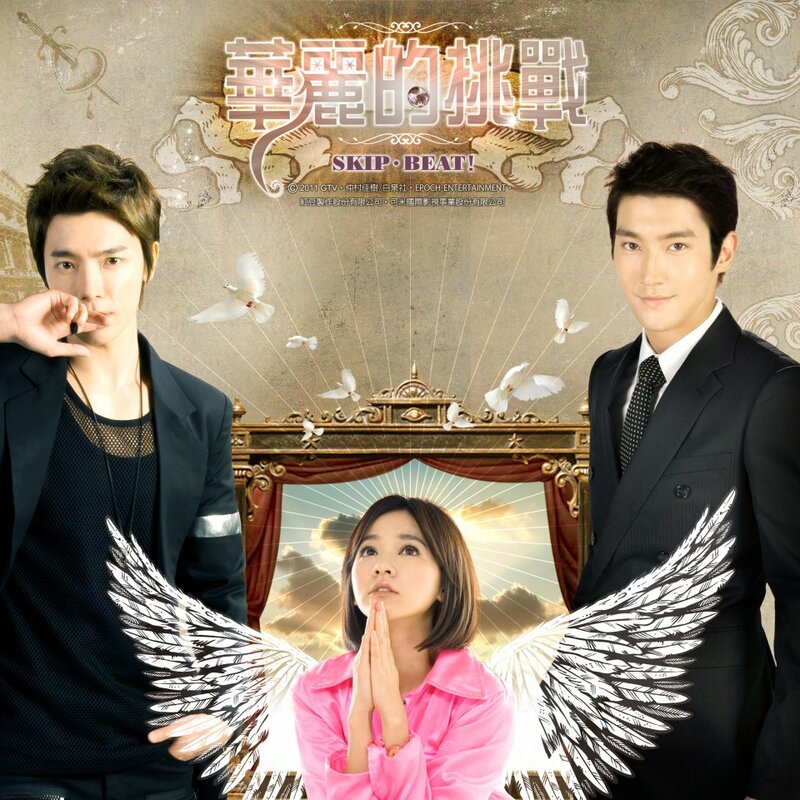 I recently marathoned 14 episodes of the Tawainese live action version of Skip Beat! which is airing now on Dramafever. This production has been stalled in development previously, with Jerry Yan aka the Tsukasa role from Meteor Garden set to play the Ren Tsuruga character. Instead in this version we have some amazing stunt casting with two members of Super Junior playing the roles of Sho and Ren. My love of Korean entertainment generally starts and ends with k-dramas, so my awareness of Super Junior is just that they are the group that does the Sorry, Sorry song. I’m always curious to check out live adaptations of manga that I enjoy, because when done right it gives me an opportunity to enjoy a story I’ve liked in a different way. I have a couple quibbles with the casting, but overall I think that most Skip Beat! manga fans will be happy to check out this drama. Skip Beat! is the story of Kyoko (sorry, I’m going to just stick with the original names from the manga), a young girl without a family who is raised alongside Sho Fuwa, whose main ambition is to become an idol. She follows Sho to the big city and works multiple jobs to support him while he pursues his music career. When she finds out that Sho has just been using her all along, she takes a vow of revenge to punish him by eclipsing him in the entertainment industry. She manages to join a top talent agency, LME under the “Love Me Program” where she has to slowly work her way up in the industry by acting as a gopher while wearing a humiliating pink jumpsuit. She meets and makes an impression on Ren Tsuruga, a leading young actor and Sho’s senior in the industry. As Kyoko progresses in her journey towards celebrity, she gradually finds the craft of acting more and more rewarding. Ivy Chen is a good Kyoko, angry and vengeful when needed, and then innocent and enthusiastic when she gets her first chance to transform into the princess of her dreams at the hands of a makeup artist. On the whole, I was very pleased with how closely the drama followed the manga in terms of plot, handling Kyoko’s unconventional entrance into the entertainment industry, where the skills she perfected by growing up helping out at a traditional Japanese inn coincidentally come in handy during her first acting jobs. The choice to dub Siwon’s and Donghae’s voices as Sho and Ren is a bit distracting at times, but since I don’t understand either Korean or Mandarin, I guess I shouldn’t be too picky. 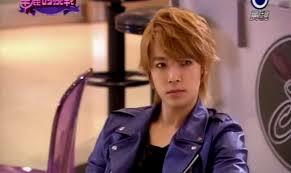 As Sho, Donghae basically has to act petulant and spoiled most of the time. I had some issues with Siwon as Ren, mostly due to the fact that there wasn’t really a noticeable age difference between the actors, when I expect Ren as a character to appear much more mature than Kyoko and Sho. On the acting side, Ren in this drama is as reticent and inner-focused as I’d expect Ren to be, with the pleasant and professional mannerisms starting to be derailed a bit due to close proximity with Kyoko. One thing I was very happy about was that the relationship between Kyoko and Kannae had plenty of time to develop. I was worried that the drama would push things too far in the direction of Super Junior Love Triangle, but Kannae and Kyoko’s gradual friendship forged in the adversity they face as fellow “Love Me!” Section comrades got just the right amount of screen time. At 14 episodes in, this series is getting up to the point where Kyoko appears in Sho’s video, and I expect the series will be heading into the Dark Moon storyline soon as well. It’ll be interesting to see how they decide to wrap the series up, since the manga hasn’t ended yet. Carrying a girl in a pink jumpsuit around. As you do. Putting aside my quibbles with live action Ren not seeming older and manly enough, this is a very solid adaptation of Skip Beat! that should please fans of the manga. My only problem is having watched so many episodes at once, the main song for the title credits is now seared into my brain.